As the need increases for more powerful and efficient batteries to support developing technologies, Texas A&M University assistant professor of mechanical engineering Dr. Matt Pharr is working to do just that: a pursuit that could have wide-ranging impacts in several areas, including sustainable energy, transportation and personal electronics. Along with his team, Pharr said he is seeking to discover advances to rechargeable, high-capacity lithium-ion batteries by exploring possible solutions to the mechanical degradation suffered during use. 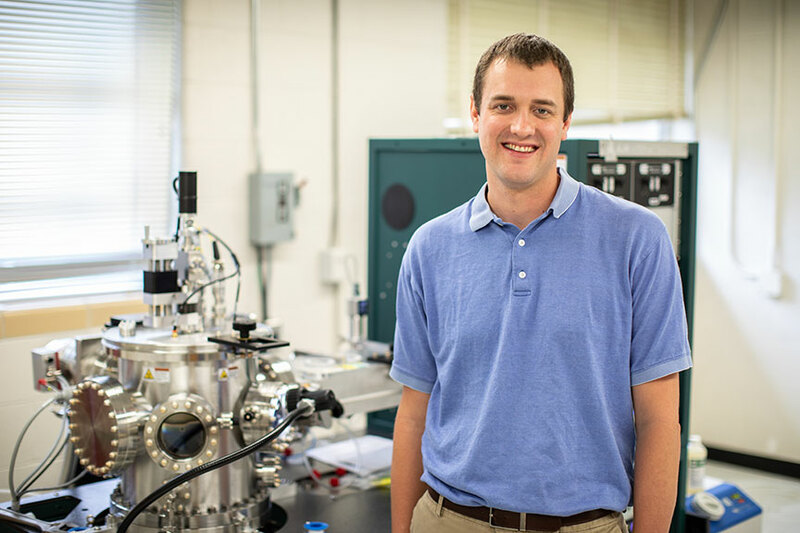 To help with his project, Pharr was one of four researchers recently selected for a gift awarded by the Applied Mechanics Division of the American Society of Mechanical Engineers to support the theoretical and applied mechanics research of new faculty members. Used as the power source for popular items, including power tools, electric vehicles and portable electronics, lithium-ion batteries have seen widespread adoption throughout industry. However, several other materials – including sulfur, silicon and germanium – are known to be able to provide a larger capacity than the current design, though not without significant drawbacks like significant mechanical degradation, making them impractical for use at this time. Pharr, who came to Texas A&M in 2016, said he hopes his work testing the properties of these various materials will ultimately lead to batteries with higher energy and power capabilities, as well as reduced weight and volume. 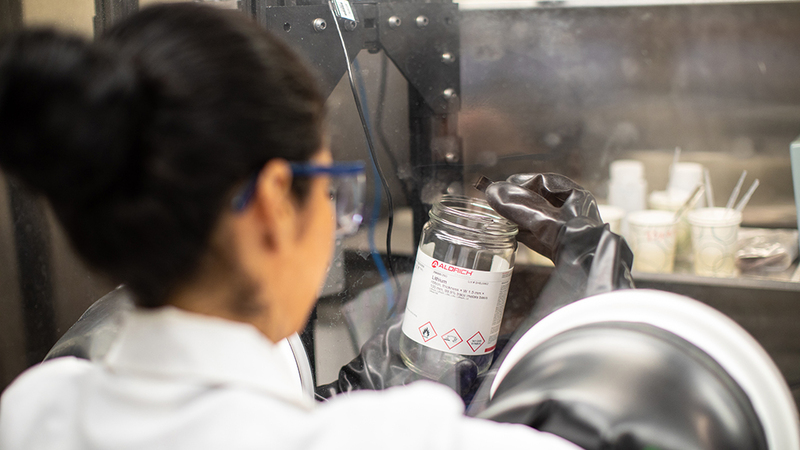 "We are performing experimental measurements to examine the interplay between mechanics and electrochemistry during cycling of high-capacity batteries," Pharr said. "These experiments provide a basic understanding of phenomena in these systems and allow us to extract mechanical properties of these 'new' materials -- lithiated compounds -- as a function of lithium concentration." He said the measurements also help to inform the development of mechanics models for the rational design of materials, architectures and electrochemical conditions that mitigate mechanical degradation during cycling. 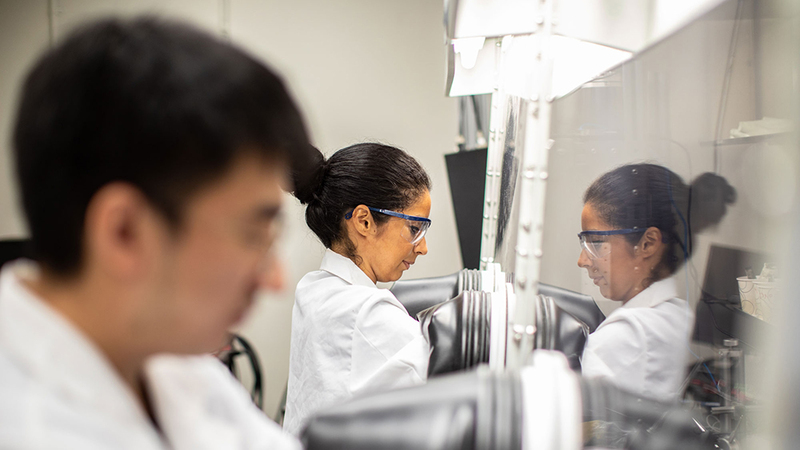 By applying a mechanics-based approach, Pharr and his team are studying elemental combinations to replace the current use of carbon and various oxides and phosphates as a host for the lithium atoms. Among the possibilities they are exploring include germanium, sulfur and silicon, along with the ultimate goal of developing a safer, more reliable method of using lithium metal without the danger of combustion. If successful, the batteries could have a large commercial market, thanks to the industry preference for their use. In addition to providing a better power source for numerous technologies, Pharr said high-capacity lithium-ion batteries could lead to a range of benefits, including enhanced infrastructure, the reduction of emissions, and improved economic and energy independence for the U.S. In addition to his research on batteries, Pharr is also working in the areas of flexible and wearable electronics, in partnership with Anastasia Muliana in mechanical engineering and Scott Finlayson in the College of Agriculture and Life Sciences Department of Soil and Crop Sciences, to investigate if it is possible to breed more resilient crops. Pharr said his team's part in the research is mechanically perturbing the plants during growth -- a process which is essentially knocking the crops back and forth to see if they adapt to the strain and grow structurally stronger or weaken over time. Pharr was also recently included among a group of researchers, comprised of members from his former post-doctoral group at the University of Illinois at Urbana-Champaign, who authored a study recently published in Nature Biomedical Engineering magazine focusing on developing a small sensor to be placed on the tip of a needle for medical use.